Every little girl loves a doll. Most dolls love the little girls too. In this story follow the adventures of Patty the Ragdoll and her very special friend. Susannah Dickinson. Listen as Patty tells her toy friends the story of Susannah from her childhood days to her marriage to Almeron Dickinson. Go with them as they travel to Texas and become early citizens of the state. Be with them as they watch the battle of Gonzales where the Texas Revolution began. 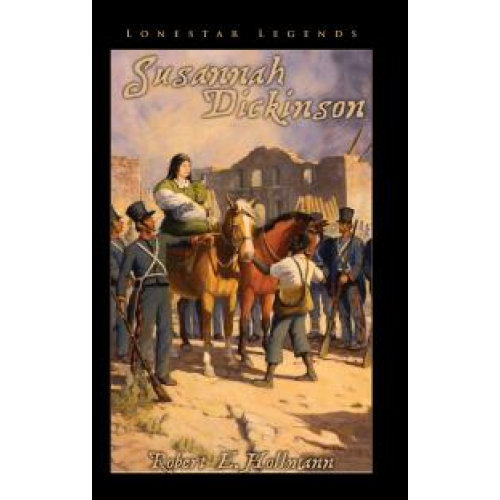 Follow them to San Antonio where Susannah runs a boarding house with many interesting guests such as Davy Crockett. Finally share a room in an old Texas mission known as the Alamo as one of the most famous battles in Texas history swirls around them.